Entrance fees for the visited museums and places of interest. Arrival in Sofia. Meet with the guide and transfer to the hotel. Half day city tour of Sofia - St. George Rotunda (4th c), St. Sofia Church, Alexander Nevski Memorial Cathedral, Parliament Square, National Theatre. 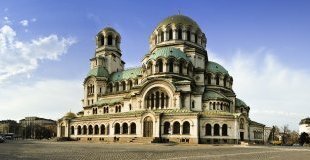 Visit of St Alexander Nevski Cathedral, the Parliament Building, the Monument of Liberator, the Russian Church, the ruins of Ancient Serdica. Dinner. Overnight in Sofia. Breakfast at hotel. Departure for the town of Plovdiv, Bulgaria's second most important city (2 hours’ drive, 150 km). Lunch at local restaurant. Check-in at hotel. 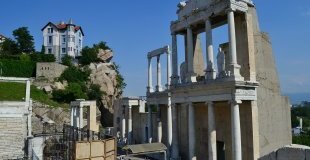 Guided walking tour in the Old town of Plovdiv – the Roman Amphitheatre dating from the II century A.D., the Roman Stadium, Djumaya Mosque, St. Constantine and Elena Church, the Ethnographic Museum, etc. Dinner at hotel. 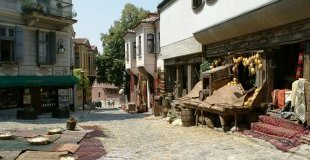 Overnight in Plovdiv. Morning departure for the Valley of Roses. Photo break at the beautiful Rose yards. Visit to the unique Thracian Tomb included in UNESCO list. 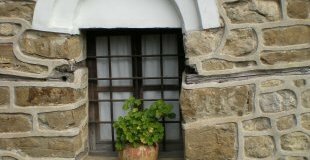 Visit to the Ethnographic Museum and the Rose Museum – demonstration of distilling rose oil and tasting of rose jam or rose brandy. Lunch at local restaurant (traditional cuisine). Drive to the Black Sea Coast. Arrival in the late afternoon in Nessebar area. Check-in at hotel. Free time. Dinner at hotel and overnight in Nessebar. 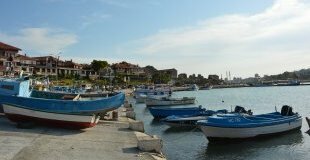 Half day tour of Nessebar. 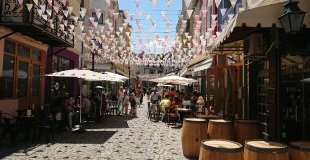 Walking tour in the Old town included in UNESCO World Heritage List. The tour includes the basilica St. Virgin Mary, the church St. John the Baptist which is impressive with its high cylindrical dome. In these churches you will find murals from 16th century and they all boast high artistic value. Lunch at hotel. In the afternoon, free time for sunbathing at the beach or just have a walk along the central promenade in the best and biggest sea resort – Sunny Beach. Dinner at hotel. Overnight in Nessebar. Free day for time at leisure. Overnight in Nessebar. Check-out and departure for Varna area. 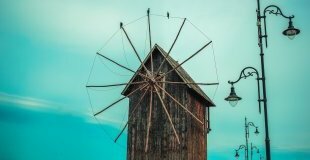 Panoramic sightseeing tour in Varna – the cathedral Assumption of the Virgin, Roman Thermes, Sea Garden, Archaeological Museum, National Naval Museums, etc. Lunch at local restaurant. 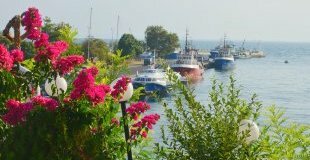 Free afternoon for beach and time at leisure and beach or optional half day tour to Balchik with the famous Queen`s Mary Palace and its unique Botanical Gardens. Dinner at hotel and overnight in Varna area. Check-out and departure for Veliko Tarnovo. Arrival in Veliko Tarnovo around noon, lunch at local restaurant. Check-in at hotel and short rest. 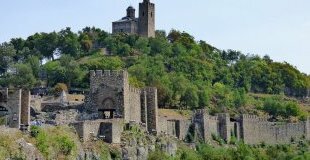 Sightseeing tour of Veliko Tarnovo including a visit of Tsarevets Hill. Dinner at hotel and overnight in Veliko Tarnovo. Breakfast. Drive to the village of Arbanassi for a visit of Konstantsalieva House and the church Birth of Christ. Lunch at local restaurant. Drive to Sofia in the afternoon. Dinner at traditional restaurant with folklore music and dances. Overnight in Sofia. 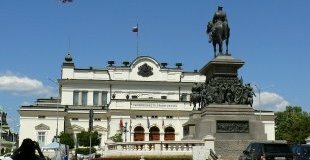 Check-out, transfer to Sofia Airport and departure.